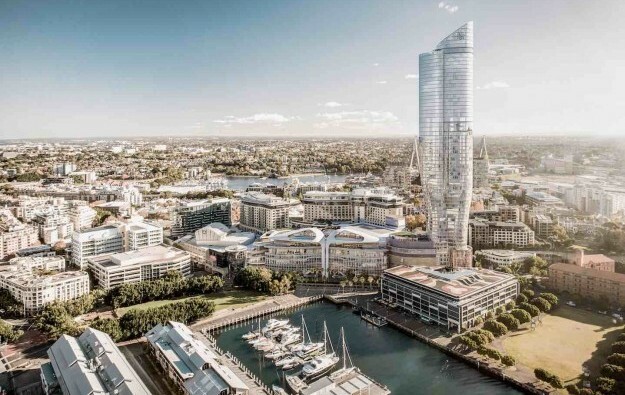 The Star Entertainment Group Ltd has asked the government of the Australian state of New South Wales for permission to build a 61-storey building in Sydney that will house a Ritz-Carlton hotel (pictured in an artist’s rendering). 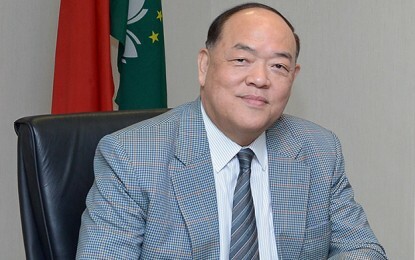 A press release issued on Wednesday by the casino company says Star Entertainment and its partners, Hong Kong-based companies Chow Tai Fook Group and Far East Consortium Ltd, will invest more than AUD$500 million (US$360.6 million) in the project. The new development will sit within the boundaries of The Star Sydney casino and entertainment precinct, which includes the new Sydney International Convention Centre, Darling Harbour, Sydney Fishmarket and The Bays Precinct. The development will have 220 six-star hotel rooms and 200 private apartments housed in a 61-storey tower, according to previous filings from The Star Entertainment. The facilities will include a rooftop terrace, public restaurant, two gyms and a spa and wellness centre, with FJMT architects securing the rights to design the tower. The announcement makes no mention of a new casino or additional tables. In its current configuration, The Star is Australia’s second biggest casino and specialises in hosting Asia’s high-rollers. Star Entertainment announced its alliance with the Hong Kong companies in March, with the suggestion that the tie-up would leverage the “expertise, networks, customer bases and loyalty programmes” of both companies to drive VIP trade. The Star Entertainment had already committed to invest an additional AUD500 million in other improvements at the Sydney property, “including the comprehensive refurbishment of the Astral Tower and Residences, work on the arrivals area, and upgrading of internal spaces, including VIP facilities”. Diversified conglomerate Chow Tai Fook and Far East Consortium, a property developer, had together paid AUD490 million for stakes of a 4.99 percent each in the Australian casino company with three casinos on the country’s east coast. “Forecasts suggest Australia’s current visitation of around 8.3 million international visitors per annum will rise to 15 million a year inside a decade,” said Matt Bekier, chief executive of The Star Entertainment, in a statement included in Wednesday’s release. “To cater for that demand, we need the necessary tourism infrastructure. Sydney lacks sufficient high-end hotels to meet this wave of international tourist demand, led by the rapidly expanding wealthy Chinese middle-class demographic. Australia currently attracts just 1 percent of China’s international outbound travellers,” stated the executive. The Queen’s Wharf Brisbane casino resort scheme in Brisbane, the capital city of the state of Queensland, will have a rolling opening, starting in the second half of 2022. The project has been costed at AUD2.4 billion, up from an initial estimate of AUD1.8 billion. The Star Entertainment will have a 50 percent share in the project.